A marathon runner and a sprinter are two athletes with completely different physiology and muscle fiber. One is built for the quick and immediate release of all energy in a specatacular explosion of short-distance speed. The sprinters command the bigger audience, because the competition itself is measured in seconds and can be housed in stadiums so large they make the Roman colosseum look like a park bandshell. In contrast, long-distance runners measure their competition in hours, not seconds. Their audience is spread along a 26-mile route and hopefully at the finish line as well, but not in the same numbers that typically show up for a sprint. A marathon runner's endurance must be honed and built over arduous training involving a combination of techniques; it's not enough for them to be the fastest or the strongest. They must possess unparalleled mental discipline, as the race requires psychological resilience when pack leaders shift and change over the course of twenty-six miles. My point is this: going the distance may not be as full of accolades and glory as a sprint, but it is just as important, and probably more challenging from many perspectives. A long-distance race is the equivalent of thousands of smaller races put together; it requires unflinching determination to keep running even when your lungs are burning and your legs feel like fifty pounds of lead. The business stakeholders of the XRP ecosystem are going the distance, along with the first adopters of digital assets. It's taken years to bring the right components and pieces of the puzzle together, and now adoption of digital assets for moving money around the world is about to happen; but many crypto market participants are distracted from these facts by the glitz and glamour of Bitcoin or Ethereum. However, these proof-of-work systems were not designed for global transaction levels, and they cannot scale. Bitcoin takes one hour to confirm a transaction, and Ethereum takes over two minutes. XRP confirms transactions in under four seconds. XRP was designed for the long-distance race of global commerce and scalability. I appreciated the humor in Kraken's tweet. 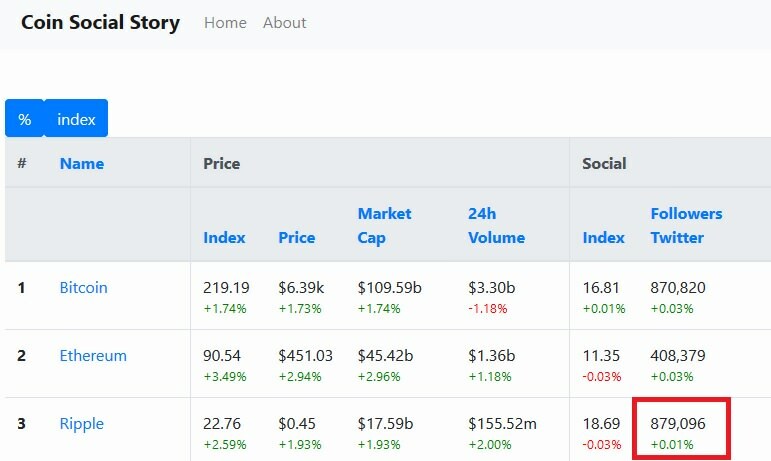 Coinbase's self-proclaimed status as crypto influencer may be starting to wane now that large investement houses, worldwide stock exchanges, large Asian exchanges, and even telecoms like LINE are starting to get into the market. For those interested, note that Kraken is a US-based exchange like Coinbase, and it supports multiple fiat pairings of XRP, including USD, CAD, JPY, and EUR. 6 XRP Owners should consider supporting exchanges that support XRP, and there is a multitude of options. 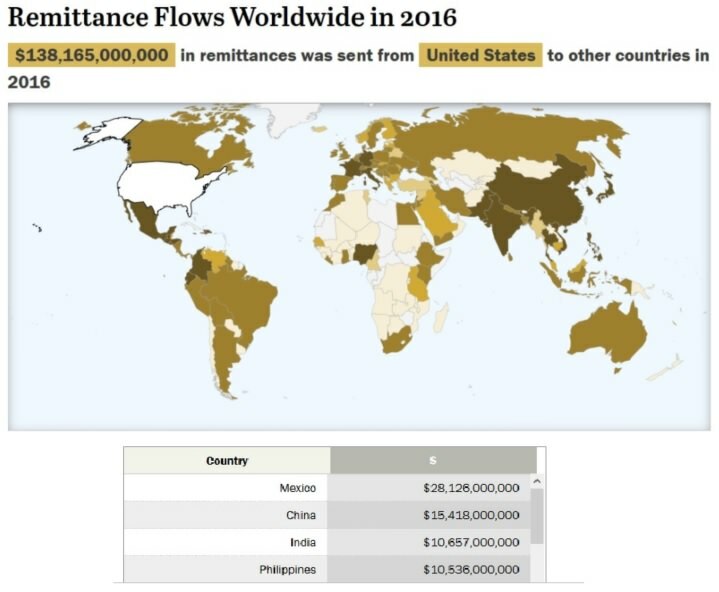 While this unidirectional money flow measurement focuses on a U.S.-only cross-section of outgoing remittances, it matches up almost exactly to the various geographical corridors where Ripple has been engaging with banks most heavily. Ripple is careful not to tip its hand, but in this case their strategy is plain to see as it matches up directly with the statistics about remittance processing. It was rewarding to see how the top members on the list are all countries where Ripple is working diligently to extend the reach of RippleNet. Question: "Will you have some of the same responsibilities as the Chief Cryptographer role? And are you ever going to get bored working at Ripple?" Answer (David Schwarts): "It's been the reverse. I've been able to scale what I've been able to do, by working with really talented people, and giving them guidance on how I picture things should be done; they get done a lot faster than if I had to write all the code myself. One of the things I started to do when I started working here, is to not be 'the only person' who knows how things work, and hand off responsibilities, and make sure that people learn their way around the code. And over time, my day-to-day responsibilities - supervising code that was written for what we now call the XRP Ledger, just kind of naturally shrank. And I did worry that that would be a little boring, because I do like to do things hands-on. But working with people who are excited, and who are doing interesting things, and who are competent... it's incredibly rewarding. You really can't get bored unless you run out of things to do; and really, that's the last of my worries." 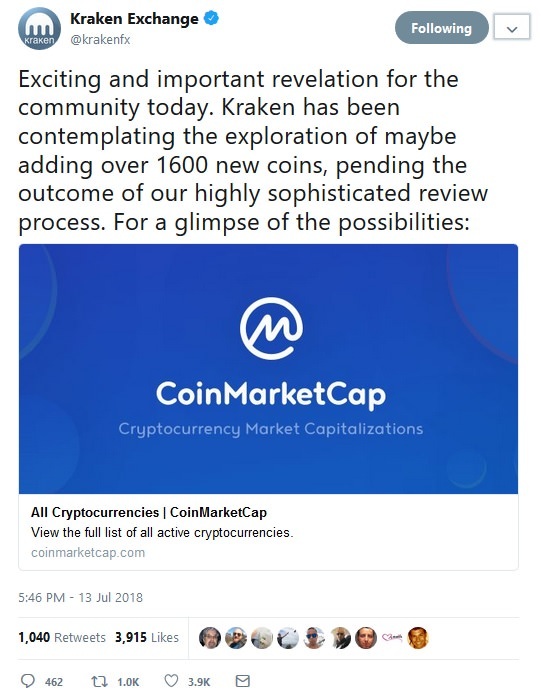 It was the answer I was expecting; from what I've seen, David Schwartz's ideas on market direction, potential ecosystem developments and future possibilites, along with his grasp of the technical underpinnings of those concepts, provides Ripple with a unique advantage in the crypto space. As much as I was looking forward to his potential involvement with Polysign, I have a feeling that he will make a much greater impact in his role as Ripple's new CTO. Question: "Outline the top three priorities that you have for the upcoming year?" Answer (David Schwartz): "Well, I think one very, very important thing is getting volume on RippleNet; getting transaction flow to be where we want it to be. More corridors, more deployment. I think that having that transaction flow as candidates to be bridged with XRP is tremendously important to the company. Also... xRapid. Doing the bridging of payments with XRP. Getting those things scaled; getting more partnerships; getting those live transaction volumes that are significant is incredibly important. And I think on the last front is decentralization... which... I love this quote from Ethan Macbrough... a quote about trying to 'make the criticisms as obviously wrong as possible' and that's ... what I feel that we're doing there. (We're) finding every possible thing someone could criticize, and just making sure that we've got that completely nailed down." Again, his answer was precisely what XRP owners were hoping to hear. Not only is he cognizant of the 'big picture,' David Schwartz possesses a unique talent for starting at a ten-thousand-foot view and then diving down into the nuts-and-bolts detail of what constitutes a business plan. Each time, he's able to communicate complex concepts with an intuitive use of easy-to-understand analogies and examples. Because July 16th was the third Monday of the month, Ripple has released the next episode in their video series titled "The Ripple Drop." The video started with a short video introduction of Kahina Van Dyke, who was previously featured on Ripple Insights; she is Ripple's new Senior Vice President of Business and Corporate Development. Reinhard Cate then switched gears and talked a bit with Jinal Surti, Ripple's Director of Business Operations, who is in charge of coordinating and researching candidate schools for Ripple's massive UBRI (University Blockchain Research Initiative) fund. He then ended the short video with an introduction of Asheesh Birla's new newsletter called "BUIDL", which is a take on the crypto term "HODL". BUIDL stands for "Building Things On Blockchain," and Asheesh Birla will reveal more details about the newsletter in the days ahead. I like this series of videos: While you'd expect some high-level corporate promotional content to be filtered through a video series like this, the comments and perspectives that Reinhard Cate seems to elicit appear quite genuine and informal. I hope Ripple sees fit to continue the video series as a regular communication channel with the XRP Community and other RippleNet stakeholders. Crypto investors look for any facts or analysis that might yield clues to the volatile price movements in the coin markets. One approach - among many - has to do with examining social media trends and search engine statistics. In some cases, this type of analysis can reveal the mindset of crypto market stakeholders, as well as the curiosity level of the general public. It's one measurement of many, but statistics like this are an encouraging sign that the XRP community is making progress sharing accurate information about XRP and various other stakeholders comprising the Internet of Value. 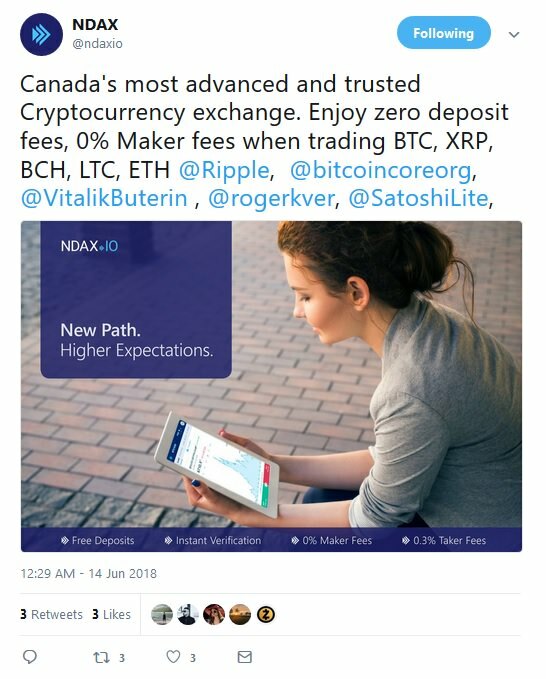 NDAX competes with other Canadian exchanges such as QuadrigaCX and Coinsquare; listing XRP ahead of these other two will most likely provide a competitive advantage to NDAX as it seeks to challenge the other exchanges for its share of the Candadian crypto market. 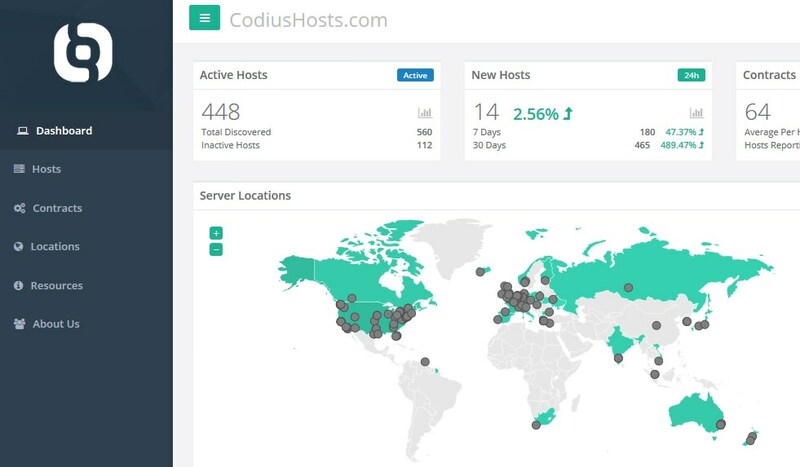 The dashboard that's contained at the Codius website also shows the worldwide distribution of the active Codius hosts, and 31 countries are represented. 15 While I expected to see global enthusiasm for XRP's smart contract platform, the diversity of countries represented by these Codius statistics was a surprise. The United States contains the highest percentage of smart contracts, but is followed by the Netherlands, Germany, France, and the UK to round out the top five. It's exciting to see how many developers are diving deep into Codius smart contracts ahead of Coil's efforts and ahead of widespread bank adoption of digital assets. I predict that this is the tip of the iceberg for Codius. If you're an author and are thinking "I won't have a shot," you should think again. Thus far, only two entries for the contest have been submitted! I find this surprising, since the prize money is quite significant and would easily be enough to attract talented writers on any other social platform, no matter the topic. The entire XRP ecosystem has all the necessary components to energize itself to finish the digital asset adoption marathon before any other competitor. Ripple is doing the hard work clearing the path for banks, financial institutions, and large corporates to use digital assets. Coil is working to create a solution for automatic machine-to-machine micropayments to pay for Internet content. Omni is planning on using XRP for its payment flows. And a cadre of the world's largest remittance processors is testing xRapid for liquidity sourcing of payments. The XRP Community is doing its part as well, with stakeholder companies and individuals building applications and smart contracts using Codius and the XRP Ledger. We've seen the explosive growth in Codius hosting, and in the number of working smart contracts; could the creation of whole new derivative instruments be the next phase in Codius development? Perhaps. XRP is the digital asset that will be first among many to solve significant real-world business problems, leading to mainstream adoption of blockchain technology as a foundation for the next generation of global payment processing. The question for you is to determine if you will be distracted by the sprint competitions, or will you keep watching to see who wins the marathon?